It has been a year since Insure Response began working with Big “I” Markets to provide continuation of the Non-Standard Homeowners program and we couldn't be happier with the reception and support from the Big “I” Markets agencies. Recent underwriting changes have been made and new products designed that we believe will help us increase your book of business and provide coverage to consumers in your areas that would otherwise not have access to coverage. Our goal this year has been to work with all parties for a quicker turn-around time. We have done this by closely monitoring the process from the beginning and following through to policy issuance. The underwriting team at Insure Response is educating agents about any documentation that is needed prior to quote submission and working closely with the carrier underwriters for continuous follow up and confirming that they have all they need to approve and issue policies. As we move toward the 4th quarter of 2015 and into 2016, we will continue our efforts to provide superior service as well as winning your confidence to ensure that Big “I” Markets and Insure Response are your broker of choice for efficiency, courtesy, knowledge and professionalism. Dwelling subject to wind mitigation. We understand what features these homes need to have (hip roof, roof straps, shatter proof glass, and storm shutters) and work to secure the proper credit for wind exposed properties. 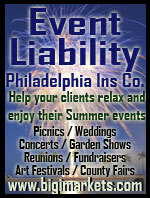 Rental Properties- Full annual rentals, vacation rentals or weekend, weekly & monthly durations. 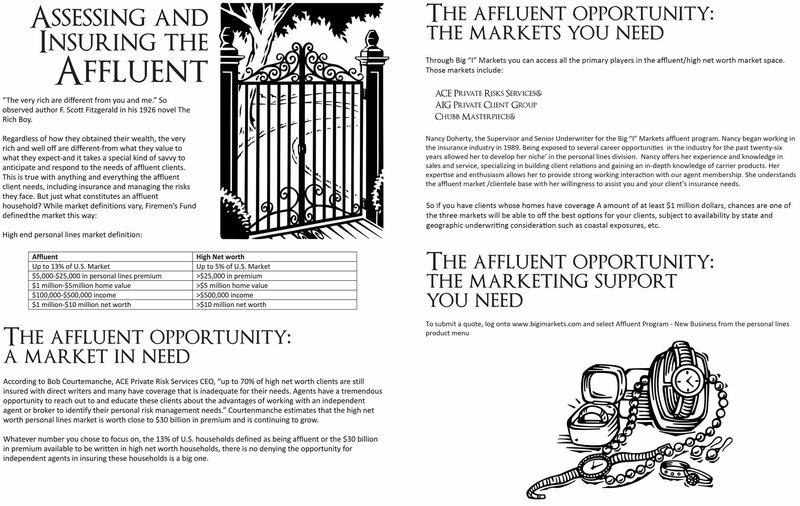 We are also a market for Secondary residences that are rentals. Unprotected dwellings- we will consider PC 9 & 10 dwellings. Lex Share Home Rental Coverage- Unique coverage extensions for Rental or "Shared" dwellings. 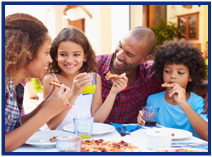 Learn more about the Non-standard Homeowner or Rental Dwelling, Non-standard Condominium Owner, Non-standard Renters or Vacant Dwelling - Non-standard at www.bigimarkets.com. Whether you're a large or small company, we all face the same challenges when it comes to hiring: how do I hire the right person the first time and ensure that they will be a true fit? Join Caliper for a free webinar on Thursday September 17, 2015 at 12:00 p.m. EST, entitled The 3 Best Practices for Hiring Top Performers. You’ll gain valuable insights on developing an effective hiring program for new employees. 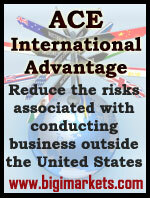 Doing so will alleviate your hiring concerns as well as save you time and money. Learn how to hire right the first time. To register for this free webinar, click here. 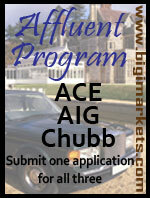 Learn more about your exclusive Big “I” member discount on Caliper at www.iiaba.net/Caliper. Do you ever watch Guy Fieri's Diners, Drive-ins & Dives on the Food Network? It highlights great, bizarre, and iconic restaurants all over the U.S. Most of these places offer unique or distinctive styles and dishes. Most of them are known for one or more of their unique dishes, barbeque, or a secret sauce. Some of the places are located in gas stations, a factory, and even an old church. The variety of cuisine offered varies greatly even with in the same episode. Caribbean, French, Korean, Middle Eastern, German, Peruvian, American, Vietnamese, Mexican, Tex-Mex and dozens more, plus some strange combinations of two or more. 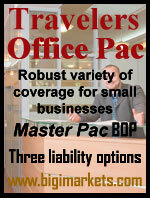 Restaurant Pac is currently available on Big "I" Markets to member agents in all states except AK, FL, HI, LA, RI & TX. Recently, I noticed a broadcast of National Public Radio's Diane Rehm talk show she focused on risk of Earthquakes in the Pacific Northwest. Then I saw a RoughNotes article on this Line of Business (LOB). In the article was an Insurance Information Institute estimate that 7% of homeowners carry earthquake insurance. That figure surprised me and I hope it's true…as low as a 7% is. How would your book look on penetration of this peril? To share some figures with you, I looked at the second largest writer of earthquake insurance in the USA, State Farm. I skipped over the largest writer, the California Earthquake Authority (CEA) because that business is 100% generated in California. The State Farm book of EQ business is in every state and DC. This lets you examine the ratio of earthquake premiums to homeowners. 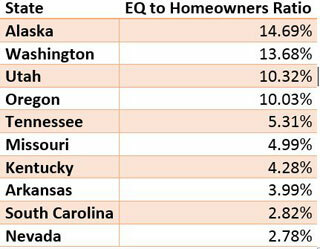 Below are the top ten states for State Farm, and the ratio in those states of EQ premiums to homeowners. Please note: excluded from the below are California, Texas and Florida where State Farm Homeowners premiums are harder to draw any comparable figure from. Source: Source: NAIC InsuranceData for 2014 State Farm Fire & Casualty and State Farm General Insurance Companies. Consider this! On average State Farm adds the equivalent of 1.6% of premiums for every homeowners premium dollar. To an independent agent, performance like State Farm is the equivalent of adding a second profit sharing payment to your agency. Do you routinely offer EQ? Do you use DocuSign to get signed rejections when coverage is declined? Asking for signed declinations is a sure-fire way to increase sales of products like EQ, umbrellas, and pollution/environmental. Congrats to our agent in Tennesee on a non-standard condominium sale of $3,888 in premium!